– Aspartate aminotransferase (AST) that is ubiquitous (liver, myocardium, muscle, kidney, blood cells …). Adult levels are reached adolescence, they are not affected by the menstrual cycle or pregnancy, for against oral contraception and menopause appear to increase the rate of about 10%. The diagnostic approach to transaminase elevation is different depending on whether it is an acute or chronic process. Elevated transaminases should be investigated clinical signs of liver disease, heart failure, muscle or endocrine disease, metabolic syndrome. The search for risk factors for viral hepatitis, infection with human immunodeficiency virus (HIV), travel, medication (even herbal), work environment, alcohol and illicit substances are also important. The acute nature is sometimes difficult to prove. However cytolysis than 10 times normal (10 N) is rarely asymptomatic and is often accompanied by a series of symptoms involving varying degrees (regardless of etiology) asthenia, anorexia, nausea or vomiting, body aches. In front of a polymorphic clinical picture that in general, a biological control is performed to suggest cytolysis. Also called “gallstone migration”, it is causing the acute phase of a frank and often isolated elevation of transaminases. It then associates it an array of colic with or without fever or jaundice. Cytolysis often returns to normal within a few days even if the obstacle is not lifted. Meanwhile appears and worsening cholestasis. Diagnosis is aided by ultrasound which shows dilatation of the bile duct, vesicular lithiasis. Sometimes it is only the echo endoscopy allows diagnosis and often allows a therapeutic gesture sphincterotomy. In case of fever or inflammation, antibiotic covering anaerobes and gram-negative bacilli is essential. In other cases analgesic treatment with dietary rest is advised, surgery is discussing cold. This is thrombosis hepatic veins. The acute form carries a painful picture with jaundice, tender hepatomegaly and ascites. There are no hepato-jugular reflux. This is the revelatory form in 20% of cases. Cytolysis exceed 5 times the normal, often with a fall in prothrombin time. Diagnosis is provided by imaging (Doppler liver vessels or CT scan). Treatment is based on anticoagulants, transplantation may be necessary in the shapes with fulminant hepatic failure. This is particularly acute pulmonary heart that can be revealed by a major cytolysis (massive pulmonary embolism, tamponade). It can also be an acute decompensation of a chronic heart failure. 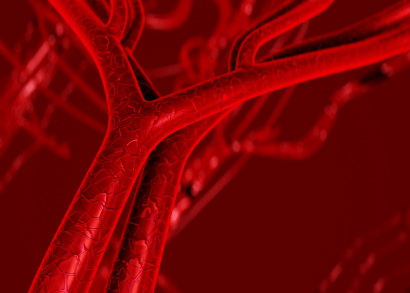 Location found during circulatory collapse, whatever their origin. Cytolysis is one of the consequences of circulatory failure in a mostly clear clinical context. Evolution is often satellite of the patient’s overall condition, but may have its own evolution to liver failure. The most commonly involved in France are the hepatitis viruses A, B and C.
Cytolysis predominates on ALT and can reach 20 to 40 times normal. The clinical picture of acute hepatitis classically associated anorexia, nausea, sensitivity of the right upper quadrant, fatigue and flu-like syndrome. Sometimes in consideration there is a tender hepatomegaly. This is followed after 1 to 3 weeks by slowly resolvent jaundice. – The hepatitis B during primary infection, rarely during the reactivation or co-infection / superinfection with the delta virus. – The hepatitis E must be sought before such a table in travelers returning from regions such as China, India, Africa.Indeed, hepatitis E has a water transmission with a higher prevalence in countries with limited resources. The risk of fulminant hepatitis is estimated at 000 1/10 with hepatitis A, 000 1/1 with hepatitis B (1% of symptomatic subjects). This risk is much higher with the delta virus and hepatitis E (especially pregnant women). Conversely, it is an exceptional location with hepatitis C.
The treatment in the acute phase is symptomatic with the exclusion of all hepatotoxic drugs and initial hospital surveillance to detect a possible transition to fulminant hepatitis. Both HSV 1 and 2, mainly during the primary infection. Most often the infection is asymptomatic. On some courses, they can achieve very serious febrile tables hepatitis. This is the case of immunocompromised (HIV, cancer, chemotherapy), pregnant women (especially the 3rd quarter) and newborns. The table combines high fever (39-40 ° C), poor general condition, leukopenia, thrombocytopenia, and major cytolysis up to 100 times normal. Mucocutaneous herpetic lesions are not constant (44%) and their absence does not rule out the diagnosis. Often there are other visceral sites of the herpes infection (pneumonia, keratitis, meningoencephalitis). Confirmation is obtained by liver biopsy and secondarily by the search for viral genome by polymerase chain reaction (PCR). Serology is irrelevant in this case. The treatment is urgent with acyclovir (Zovirax) intravenously at a dose 10 mg / kg every 8 hours (double dosage in newborns). 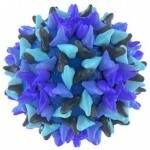 Other herpes viruses implicated in acute cytolysis are cytomegalovirus and Epstein-Barr virus, elevation of transaminases is against moderate. Any severe sepsis may be responsible for cytolysis which often remains moderate. Special mention must be made for leptospirosis and rickettsial diseases (fi èvreQ especially) who hepatic tropism. They may be involved in some important cytolysis. The list is regularly updated. It may be voluntary or accidental poisoning. The latter situation is favored by the multiplicity of analgesics based combination of paracetamol, the patient has a tendency to self-medicate with plain paracetamol freely bought in pharmacies. The toxic dose in adults is 10 grams, however, the threshold may be lower in patients with chronic liver disease (alcoholic, viral …). Treatment is primarily hospital using what the antidote N-acetylcysteine ​​intravenously. It is the death cap and some lepiotas. The death cap poisoning often achieves a typical table: free interval of 6 to 12 hours after ingestion of the mushroom, profuse diarrhea and vomiting responsible for a major dehydration, hepatitis occurring 48-72 hours after meals with toxic transaminases up to 100 times normal and liver failure. Treatment is symptomatic with parenteral rehydration and filling, liver transplantation may be necessary. Amphetamines are the main components of “ecstasy”. This is especially MDMA. As this is a synthetic product whose manufacture is illegal, the actual composition is difficult to determine with a high rate of various contaminants. Its toxicity is neurological (hallucinations, memory impairment). Described malignant hyperthermia and organ failure including fatal acute liver failure. The management of severe forms must be in intensive care. In general it is cytolyse evolving for more than 6 months. Cytolysis is moderate rule. Some overlap those etiologies of acute situations. Only 10% of infected patients continue to have chronic hepatitis after primary infection. The clinic is poor at this point, at most asthenia. Cirrhosis with portal hypertension appears late. Diagnosis is based on serology with the search for HBsAg and anti-HBs and anti-HBc. A subject vaccinated only anti-HBs antibody, the protective rate is above 10 IU / L.
Hepatitis B cured has the following profile: HBsAg negative, positive anti-HBs and anti-HBc positive. Active hepatitis B is responsible for a positive HBsAg, anti-HBc is positive. This does not presume the recent nature or past infection. We must search for anti-HBc IgM, whereas if positive it is a recent infection, if negative then it is possible to chronic infection. It is then necessary to clarify the status of HBeAg. If HBeAg is positive, this sign virus replication and justifies the quantification of viral DNA in a patient liable to be treated. If HBeAg is negative it may be either a healthy carrier or an infection by a mutant B virus (not expressing HBeAg) or delta virus superinfection. In these cases, the search for viral DNA decide. Preventive treatment includes vaccination and the fight against blood and sexual transmission. – Nucleoside analogues: lamivudine (Zeffix®) at a dose of 100 mg / day, adefovir (Hepsera) and entecavir (BARACLUDE) other molecules are being evaluated. The diagnosis is easily confirmed by serology, any positive serology requires a control on a second sample. However before charge cytolysis hepatitis C, it is necessary to confirm viral replication by searching viral RNA by PCR. PCR “qualitative” is suffi cient at this stage. Quantitative PCR is useful only if treatment should be initiated. Also be aware that even in the absence of any treatment, cytolysis is not permanent. The standard treatment is a combination interferon α plus ribavirin. Exceptions, the dosage of interferon is 180 ug sc / week (PEGASYS). The dose of ribavirin (Rebetol®) is 800 mg to 1200 mg / day; regular blood counts should be monitored and dose reduction in anemia. 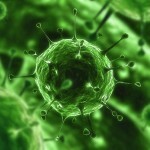 This is infection D virus is a RNA virus. This is a particular virus since it is defective and requires prior or concomitant presence of B virus to infect humans. The diagnosis is confirmed by serology and possibly looking for viral replication. Research the delta virus is necessary in case of positive hepatitis B serology. Preventive treatment is that of hepatitis B.
Curative treatment is difficult, it is based on interferon α at high doses with low response rates. The combination with lamivudine does not seem to provide additional benefit. It is the alcohol which is the first found factor, usually recognized threshold is 50 g / d.
The second factor is anorexia nervosa: liver function tests should be routine for weight less than 75% of ideal weight. Cytolysis is seen first at the weight loss phase and the more so that the body mass index is low. Do not neglect the search for a common addiction in these patients. Most often it is a moderate cytolysis, invoked the mechanism is a low hepatic flow. Cytolysis is seen in reverse during refeeding, it is rarely intense and clears itself with continued feeding. The metabolic syndrome is more of the following: hypertension, obesity, insulin resistance, hyperlipidemia (Boxes 1 and 2). Box 1. Criteria of the European Group for the Study of Insulin Resistance Insulin resistance defined by an insulin levels exceeding 25% of the normal rate. Abdominal obesity defi ned by a waist circumference ≥ 94 cm in men and 80 cm for women. Dyslipidemia defi ned by triglycerides> 2 mmol / L or HDL <1 mmol / L.
Plasma glucose> 6.1 mmol / L.
Abdominal obesity defined by waist circumference> 102 cm in men and> 88 cm in women. Triglycerides ≥ 1.7 mmol / L.
HDL cholesterol <1 mmol / L in men and <1.3 mmol / L in women. Hypertension (≥ 135/85 mmHg or need for treatment). Fasting glucose ≥ 6.1 mmol / L.
Moderate cytolysis is common, it is not part of the diagnostic criteria. It can be primary or due to an associated steatosis. Ferritin is usually greater than 500 mg / mL. The treatment of metabolic syndrome is that its various clinical and biological manifestations: weight loss, treatment of insulin resistance (physical activity, metformin and / or glitazones out if diabetes), dyslipidemia based on cardiovascular risk factors , antihypertensive (see Chapter Diabetes). Fatty liver corresponds to an excess of lipids in the liver parenchyma (> 5% of liver weight). Histology found lipid droplets in the hepatocytes. NASH are distinguished (NASH in English literature), which combines with steatosis, inflammatory infiltrate, hepatocyte necrosis and fibrosis. Obviously you need to exclude other liver diseases (especially unacknowledged alcohol intake) before retaining this diagnosis. Fatty liver is associated with obesity, diabetes, excessive alcohol consumption, hypertriglyceridemia, certain medications. The natural history seems steatosis, steatohepatitis, fibrosis with steatohepatitis and cirrhosis. Simple steatosis and NASH can be integrated in the metabolic syndrome. There is a moderate and prolonged predominant cytolysis on ALT, there are also elevated ã-GT and alkaline phosphatase. Imaging allows the diagnosis of steatosis without prejudice to the origin. The diagnosis of NASH remains histologically. The treatment consists of comprehensive care. The lifestyle measures are at the forefront: weight reduction, regular physical activity (more than 30 minutes of daily walking). Lipid-lowering drugs are to be used according to the recommendations on the management of cardiovascular risk factors. Several drugs have been tried to influence steatosis: fibrates and statins have no own efficiency; vitamin E have a positive effect on biochemical and histological abnormalities; ursodeoxycholic acid at 10-15 mg / kg / day demonstrated efficacy on laboratory abnormalities; metformin at a dose of 1.5 g / day improved biological parameters but histological evaluation; glitazones have not shown histological improvement. It is also desirable to reduce or stop alcohol consumption. We must identify and treat any iron overload due to real or secondary hemochromatosis to insulin resistance. – Type 5: hemochromatosis due to a mutation of the gene that encodes the subunit H ferritin. Types 4 and 5 are anecdotal (some families) and are autosomal dominant. Types 1, 2 and 3 are autosomal recessive. The type 1 hemochromatosis is the most common. It is caused by two possible mutations, C282Y and H63D. The C282Y homozygosity is the most common situation.More rarely are diagnosed in compound heterozygotes C282Y / H63D and H63D homozygotes. Penetrance of these mutations, however, is quite low (see also Chapter Hyperferritinemia). The classic presentation makes a sometimes severe hepatomegaly, firm and sharp edge. It is associated with hyperpigmentation, arthropathy, diabetes and heart disease. The diagnosis is made, however, currently before asthenia above the other symptoms. Cytolysis is often a reflection of a significant iron overload, it rarely exceeds 2 N, it must be corrected with treatment. Typically the serum iron, ferritin and transferrin saturation are high. This is the saturation is the most sensitive screening. A greater than 45% rate justifies the search for the mutation. The diagnosis is confirmed by research of genetic mutation. In some cases where the therapeutic decision is not obvious, we can help the liver MRI assessment of liver iron concentration, this eliminates the need for many liver biopsy in hemochromatosis. Juvenile hemochromatosis is manifested at an early age (second and third decades). Treatment is simple, it is the subtraction of iron by phlebotomy (weekly phlebotomy 400-500 mL) with an initial objective ferritin levels below 50 ng / mL. Injectable chelators do not belong because of their safety profile and methods of administration. Oral chelation has not been evaluated in this indication. Autosomal recessive mutation in the ATP 7B gene located on chromosome 13 and which encodes a transmembrane copper carrier. It currently has more than 300 listed mutations. Approximately 60% of patients present with liver damage. It may be acute forms with acute or fulminant hepatitis manifested by jaundice, fever and sometimes signs of encephalopathy; hepatomegaly is special because it is hard.The Kayser-Fleischer ring is not always present in the liver forms. Chronic forms take on the appearance of chronic hepatitis or silent with a diagnosis made at the stage of cirrhosis. Other manifestations are encountered neurological, psychiatric, hematologic (hemolysis). Laboratory diagnosis is based on the determination of ceruloplasmin is reduced in 95% of cases (but normal in 5%), it is also a non-specific abnormalities. The urinary copper is constantly increased. The cuprémie is usually lowered. The measurement of free copper is the difference between the total and the copper bound to ceruloplasmin (50 micromol copper / ceruloplasmin 1 g), the free cuprémie is usually increased. One can also determine the hepatic concentration of copper, it requires a liver biopsy. The imagery is not specific. Genetics can be done but there are a large number of mutations, the lack of the most frequent mutations does not rule out the diagnosis. The treatments available are D-penicillamine (Trolovol®), triethylenetetramine (Trientine® available in temporary authorization for use) and zinc sulphate (Wilzin®). The mechanisms of action are detailed in Chapter hepatomegaly. Current recommendations in France for D-penicillamine first line in the event of symptomatic form. In case of intolerance or side effect choice is trientine. In pauci or asymptomatic, it is more logical to use zinc. These are conditions characterized by a deficiency of the enzyme affecting the heme cycle with consequently an accumulation of precursors of heme. It is primarily cutanea tarda which is accompanied by a moderate cytolysis sometimes associated with elevated alkaline phosphatase. This is the most common porphyria, recognizes four types depending on the mode of revelation and tissue cit important challenge. 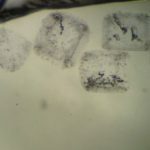 The clinical picture is mainly skin with blisters or bubbles photo-exposed areas, sometimes by a little skin trauma.Other signs found are much rarer: Facial hypertrichosis, hyperpigmentation or alopecia. The dark red color of urine when exposed to natural light is classic but not constant. There are no abdominal attacks or neurological signs in this form. The diagnosis is confirmed by measurement of urinary porphyries which are frankly increased. There is often an iron overload in the absence of hemochromatosis. Be aware that the clinical expression of porphyria cutanea tarda is favored by certain situations such as alcohol consumption, iron overload (hemochromatosis), chronic viral hepatitis (hepatitis C especially) and some drugs (estrogen, antiepileptics … ). The key risk is the evolution towards hepatocellular carcinoma. Treatment should involve the contributing factors when they are found, photoprotection, possibly antimalarials during the period of sunny tion (hydroxychloroquine: Plaquenil® 200 to 400 mg / day). The bleeding can be effective if there is an associated iron overload. The clinical picture often shows sometimes tender hepatomegaly, unexplained weakness or moderate jaundice, rarely the diagnosis is made before a revealing cirrhosis. Cytolysis is moderate (5-10 N), it often associate it polyclonal hypergammaglobulinemia focusing on immunoglobulin G.
Liver biopsy is suggestive when there is an especially plasma cell infiltrate and centrilobular necrosis and a provision in “rosettes” hepatocytes. – T ype II rather affects young men (under 20), characterized by the presence of anti-microsomal liver and kidney (anti-LKM 1) and sometimes anti-liver cytosol type 1 (anti -LC 1). 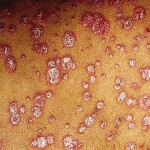 This type II may be associated with chronic hepatitis C.
The current standard of care is the only oral corticosteroids or as outset for some teams, azathioprine (Imurel®). Most often the diagnosis is now suspected in laboratory abnormalities (anemia, iron deficiency, folate deficiency). The diagnosis is supported by research autoantibodies: anti-endomysium, anti-gliadin and anti-endoplasmic reticulum. The most specific and sensitive are the endomysial especially if they are of immunoglobulin class A. Definitive diagnosis is established by duodenal biopsy ideally include villous atrophy (1/3 to 1 / 5th of the normal height), sometimes the defects are limited to a lymphocytic infiltrate (> 30 lymphocytes per 100 epithelial cells). Cytolysis was found in 25% of some series. It is more about the ALT. Cytolysis is usually isolated, elevated alkaline phosphatase has to search for a bone complication of celiac disease (osteomalacia). The treatment is to exclude all foods containing gluten. In this context a supported by a dietician team is desirable. Cytolysis normally corrected with the gluten-free diet, usually within 12 months of the start of the scheme. Persistent liver abnormalities beyond this period and subject to proper observance of the regime has to search for another etiology. They are responsible for diseases with inflammatory and fibrotic achievement of intrahepatic and / or extrahepatic. Cytolysis is a rarely encountered abnormality, especially early in the disease. It is especially hypothyroidism, whatever its mechanism. We must also think of hyperthyroidism, adrenal insufficiency to slow and hypercortisolism. This is especially the chronic Budd-Chiari syndrome associated hepatomegaly and ascites. The diagnosis is confirmed by imaging. The causes and treatment are detailed in Chapters hepatomegaly and ascites. Another cause is right or congestive heart failure, but the diagnosis is usually obvious here. 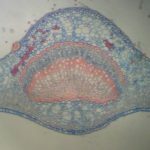 They arise from the tissue localization of transaminases. Hemolysis is responsible for elevated AST (but not ALT), the context is clear in general. Muscle diseases regardless of their mechanism (myositis, myopathy) may increase transaminases with a predominance of ASAT. The dosage of the créatinephosphokinase (CPK) allows towards muscle pathology. This is especially the macro-AST, it is in fact a complex immunoglobulin-AST. This is a biological abnormality responsible for a false elevation of the enzyme activity measured by the usual methods. The diagnosis is made by electrophoresis AST. It is sometimes encountered in autoimmune diseases and neoplasms. But more often it is isolated. She deserves to be recognized to avoid the repetition of unnecessary explorations. No supervision and no treatment is required. As we have explained, the diagnostic approach must clearly distinguish the specific context of acute cytolysis that often require care and initial hospital surveillance. Conversely chronic cytolysis frequently corresponds with etiologies including diagnosis and evaluation report are feasible in general practice. The most common causes are chronic viral hepatitis (B and C) and nutritional factors (alcohol, obesity and metabolic syndrome), which should enjoy taking modern therapeutic management. Finally, keep in mind the possibility of a non-hepatic origin of elevated transaminases.